← QotW: What’s the greatest Suzuki of all time? It has been confirmed by Brazilian collector’s site T-Hunted that Hot Wheels‘ 2013 Boulevard series will contain at least two of our favorite nostalgics. We’ve shown you one of them already during a sneak preview at this year’s Japanese Classic Car Show — it’s none other than the Datsun Bluebird 510 wagon, complete with external oil cooler, fender mirrors, and deep polished lipped wheels! The other one will be the Nissan Skyline H/T 2000GT-X, also known as the hakosuka Skyline! This will be the first time the hakosuka has been re-issued since its 2011 debut with the JNC inkan. The Boulevard series, for the uninitiated, are a lineup of premium collectibles that come with highly detailed graphics, metal bases, and rubber tires. Out of the thousands of Hot Wheels castings only a select few get this special treatment, so it’s quite an honor to have two Nissans represented. 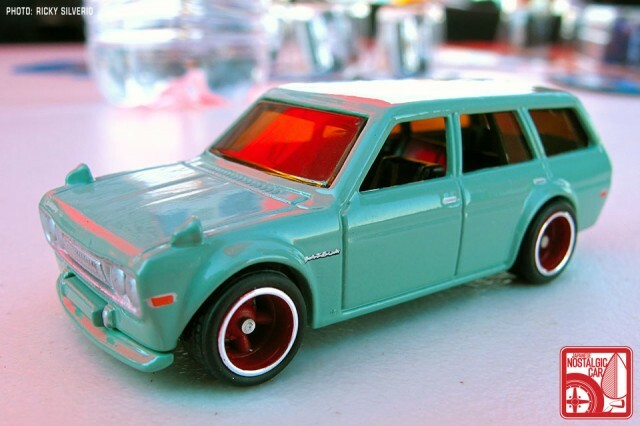 In fact, with last week’s announcement of the Flying Customs kenmeri Skyline, Nissans will be very well represented in all three levels of Hot Wheels lines next year. 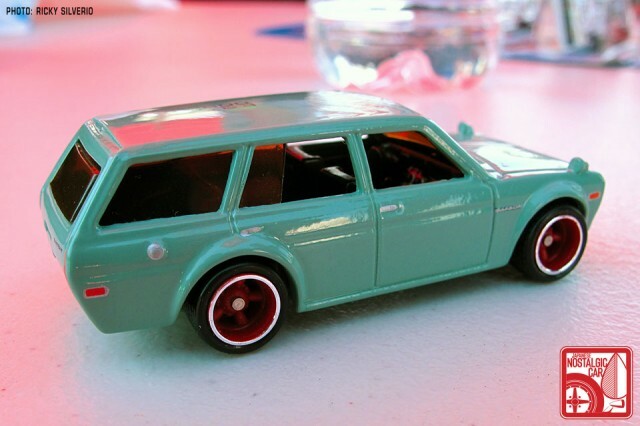 There are more exciting secrets that we can’t tell you about yet lest Mattel’s NDA enforcement squad come gunning for us, but Japanese car collectors will be very pleased in 2013.
tagged: boulevard, c10, datsun, Hakosuka, hot wheels, kgc10, kpgc10, nissan, skyline, wagon. It’s awesome and I love the color but have one question: why make a wagon when we already have a notchback? Wouldn’t the tooling be better used to push out an RX-3 or something? Again, it’s awesome and I’ll probably buy one, but just wondering. There’s licensing rights required from the manufacturers. I don’t know the details of the process, but since they already had the 510 2dr sedan I imagine it wasn’t that much more difficult to get the wagon. That actually makes sense. Thanks! I still need my Subaru Brat. I cant find it ANYWHERE. Tnks for the heads up. Probably it wont hit the pegs till early next yr. Im also hoping toyota truck, supra, and brat still hit the pegs some how.. I like and love both of Them. I Will be on the Lookout for Them. Does hot wheels bring out boulevard packs in Australia?